The jury, at the trial court level, found that the contractor and subcontractor entered into an oral agreement whereby the contractor would use the subcontractor if the contractor was awarded the project. Since the contractor retained a different subcontractor, the jury found that the contractor breached the oral contract and awarded damages to the subcontractor. The appellate court held that the parties’ dealings did not give rise to an enforceable contract. For there to be an enforceable contract, there must be an offer, an acceptance, consideration, and sufficient specification of terms so that the obligations involved can be ascertained. Since a subcontractor’s bid is nothing more than an offer to perform the subcontract under specified terms, the appellate court was left to determine whether the general contractor had accepted the bid. 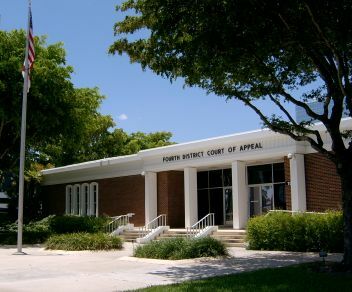 While there was no express oral or written acceptance of the subcontractor’s bid in this case, the appellate court reviewed whether the contractor had accepted the bid through his actions and the circumstances surrounding the subcontractor’s bid. Relying on the “settled common law contract principle that utilizing a subcontractor’s bid in submitting the prime or general contract bid does not, without more, constitute an acceptance of the subcontractor’s offer,” the appellate court determined that the contractor did not accept the subcontractor’s offer and there was no enforceable contract. In support of its holding, the appellate court considered the fact that general contractors must review and select from a number of bids from subcontractors in preparing their master proposals for projects, and they cannot be required to accept the bids of the subcontractors whose figures are used in the master proposal if the job is awarded. Reliability, quality of work, and capability to handle the job are all considerations weighed by the general contractor in choosing subcontractors. Imposing a strict requirement to contract with a subcontractor because a particular bid was used would remove a considerable amount of needed flexibility for general contractors. Our construction law attorneys regularly write about important issues affecting the construction industry in this blog, and we encourage industry followers to submit their email address in the subscription box at the top right of the blog in order to receive all of our future articles.